Modern Physical Metallurgy, Fourth Edition explains the fundamental principles of physical metallurgy and their application, allowing its readers to understand the many important technological phenomena of the field. 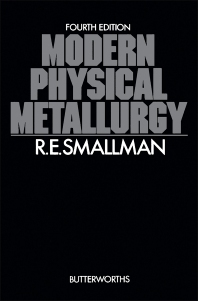 The book covers topics such as the molecular properties of metals; the different physical methods of metals and alloys; and the structure of alloys. Also covered are topics such as the deformation of metals and alloys; phase transformations; and related processes such as creep, fatigue, fracture, oxidation, and corrosion. The text is recommended for metallurgists, chemists, and engineers who would like to know more about the principles behind metallurgy and its application in different fields.